Motorola started its announcement in NYC for the DROID RAZR by pushing one of their other products, the MOTOACTV. This is their take on a fitness tracker, similar to what many of you have seen with Nike+ products and also the iPod Nano. Like so many of Moto’s ideas this year, the MOTOACTV is a chance for them to break into another market that seems to be dominated by a few other key (and major) players. 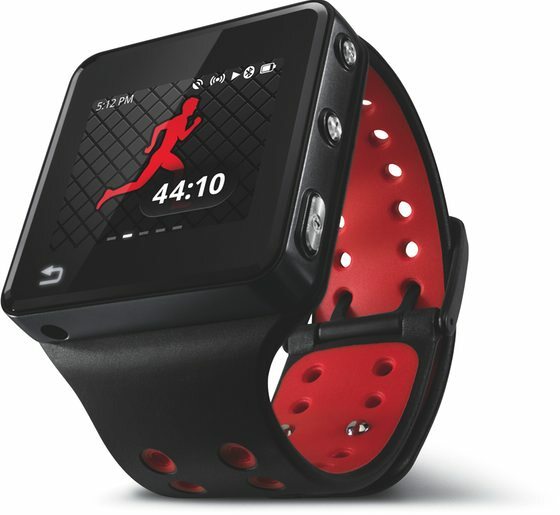 Priced at $249 (8GB) and $299 (16GB), with a GPS, loads of workout types, a music player, and a Bluetooth notification system that pairs with any phone (possibly just Blur phones), is this worth the purchase? As someone that attempts to keep himself in decent shape, I was intrigued by the idea and picked one up over the weekend to give it a spin. Since it runs Android and all, why not? So here is a quick hands-on with it to give you guys a feel for Moto-gone-fitness-guru. After I have used it through a couple of weeks of workouts, I’ll report back to see if the price is justified or if the MOTOACTV appears headed for the same doom as the original XOOM. Google Halts Transformer Prime Release To Update OS To Ice Cream Sandwich?